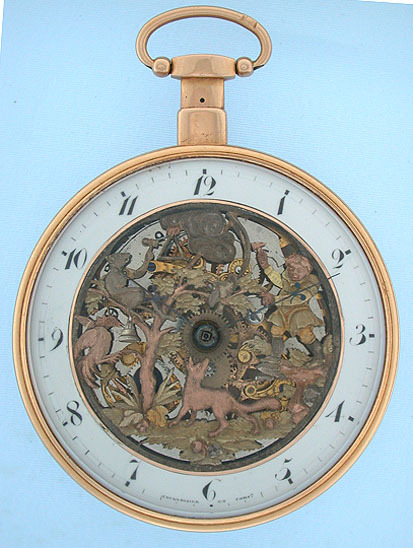 Beautiful and rare 18K gold woodland scene triple gong skeletonized quarter repeater automaton antique pocket watch by Courvoisier & Comp. circa 1810. 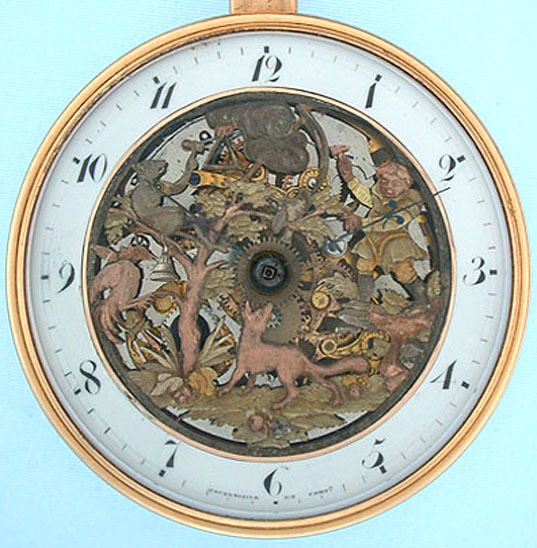 The enamel dial ring (restored) cut away to reveal the polished steel and engraved gilt brass movement mounted with a wonderful and most unusual automaton scene of a man, animals and a bird striking three mock bells when the pendant is depressed and the watch chimes the time on three gongs. 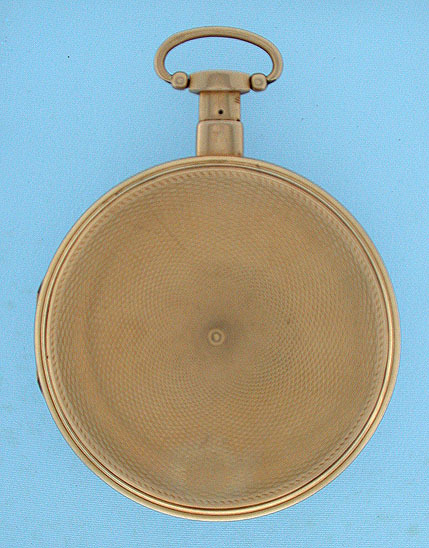 The engine turned case with glazed dust cover. 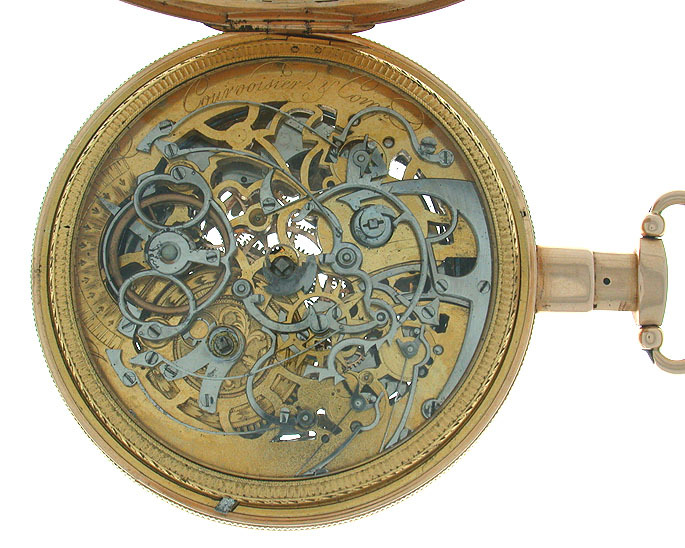 The repeating mechanism mounted on the back of the engraved gilt brass movement which is skeletonized all the way through. Excellent condition and loud clear tone.